520 Park, a Time Group Investments property, is a new luxury, green apartment community coming to the Mount Vernon neighborhood of downtown Baltimore. In what was formerly the Hochschild Kohn department store chain’s main warehouse, a transformation to 171 unique luxury apartment homes is nearing completion and leasing quickly. 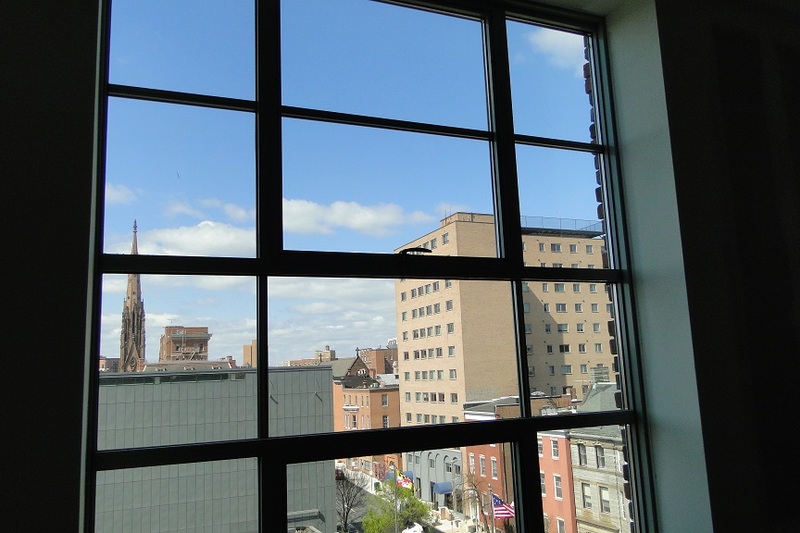 520 Park Avenue represents a modern rehab of a historic building that will offer the kind of sprawling views and first-rate amenities that are spurring residential growth throughout downtown Baltimore. 520 Park is a new luxury, green apartment community coming to the Mount Vernon neighborhood of downtown Baltimore. In what was formerly the Hochschild Kohn department store chain’s main warehouse, a transformation to 171 unique luxury apartment homes is nearing completion. Merging original architecture from the building with contemporary elements and finishes has created an innovative community with a unique blend of historic charm and modern design. Featuring studio, one- and two-bedroom floor plans, the apartment homes will be well appointed and will feature 14-foot exposed ceilings, oversized windows, rich wood cabinetry, granite counters, hardwood floors, stainless steel appliances; and many of the apartment homes will offer balconies or terraces. 520 Park will also feature a full range of modern amenities including underground parking, bicycle storage, 24/7 fitness center, business center, dog-wash station, electric car charging stations, and rooftop solar array. One of the most unique features of the community will be its interior landscaped courtyard. The original building had no such interior courtyard and presented a unique challenge for the developers. "We had to cut a 5,000-square-foot hole into the middle of the building," said Dominic Wiker, the development director for the developer. The finished courtyard will feature seating areas, fireplace, water feature, and many of the apartments will have balconies or terraces overlooking the space. Another impressive aspect of this unique transformation is that the finished product will be a certified green project. The community has been built to LEED Silver standards which stands for Leadership in Energy and Environmental Design and is an internationally recognized green building certification system developed by the U.S. Green Building Council (USGBC). In order to be certified, the community must achieve standards for high efficiency heating and cooling systems, energy efficient appliances, high efficiency hot water heating, energy efficient lighting, and indoor environment quality, just to name a few. 520 Park has already begun accepting applications due to high demand. If the property’s pre-leasing activity is any indication of its future popularity, 520 Park is likely to be Mount Vernon’s most sought-after new address. 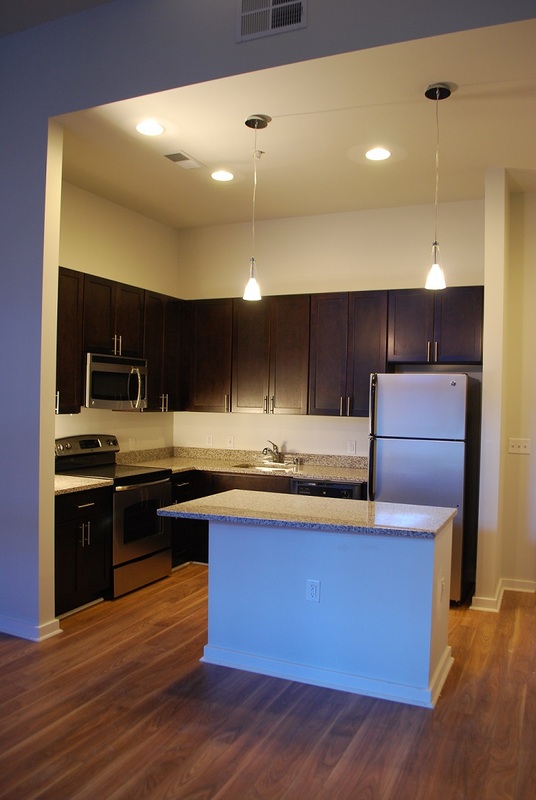 The leasing pace has been brisk and interest in this unique community remains high. 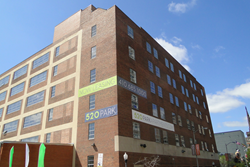 For more information about 520 Park, visit the property’s website at 520ParkApartments.com or contact the leasing office at 410.685.1000.